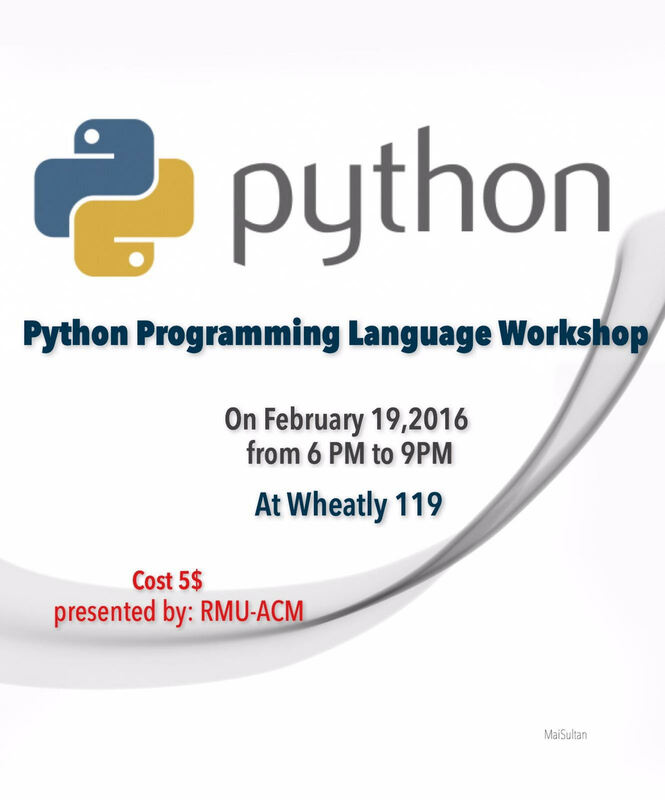 The RMU chapter of ACM is presenting a Python Programming Language Workshop on February 19 from 6-9pm in Wheatley 119. Cost is $5. All students are invited. This entry was posted in events and tagged programming, python, RMU-ACM, workshop on February 16, 2016 by Dr. Jamie Pinchot. The ACM RMU Chapter is looking to form two to four teams to compete in the Mylan Hackathon, with each team being composed of five members. The event will be held in Pittsburgh on February 26-27, 2016. The group is looking for both CIS students and engineering students to compose their teams. The Hackathon will involve brainstorming and coming up with a technology solution to meet a technology-in-healthcare challenge. Please contact the ACM RMU Chapter President, Mohammed AlJaser at moast145@mail.rmu.edu with any questions. This entry was posted in events and tagged mylan, programming on February 11, 2016 by Dr. Jamie Pinchot. UPMC will be attending RMU’s Spring Career Fair on April 7, 2015. They are specifically interested in MUMPS programmers. MUMPS (Massachusetts General Hospital Utility Multi-Programming System), alternatively called M, is a general-purpose programming language for transaction processing that was originally designed for the healthcare industry and continues to be used in many large hospitals today. If you have experience in M or have taken the courses above, you should make a point to attend the Spring Career Fair in April! This entry was posted in events, healthcare, job opportunities and tagged career fair, M, MUMPS, programming, upmc on February 3, 2015 by Dr. Jamie Pinchot.